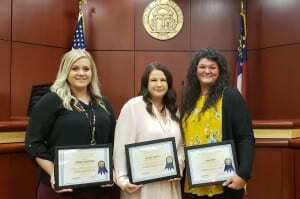 ELLIJAY, Ga. – The Gilmer County Probate Court honored three of its clerks for their state certifications this week. A process that began with former Probate Judge Anita Mullins, these employees have served for years in the court system and have completed training programs within the system under Judge Scott Chastain. The three ladies recognized are Jana Grno, Tracy Teague, and Lyndsay Hightower. Chastain says that recognition is given for 30 hours and 60 hours of training for the program, but he wanted to do something special as each of these women now have 90 hours, the final stage of the program and actual certification. Jana Grno will have been with the Gilmer Probate for five years next week on April 21. Focusing on the vital records and weapons permits now, Chastain says there is very little she cannot do in the Probate Court as she also assists in traffic court. 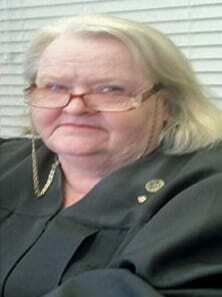 She is also the longest running employee in the Probate Office in Gilmer County. Tracy Teague will reach her 5 years with the Probate Court this September. Chastain calls Teague a “lifesaver” as he transitioned in the office. He says she was and is constantly there every time he calls for anything the office needs. From left to right, Lyndsay Hightower, Tracy Teague, and Jana Grno receive their state certificates in Gilmer’s Probate Office. Teague has recently been announced as Judge Chastain’s Chief Clerk. Teague had already served as Chief Clerk under Judge Mullins and continues this service now that Chastain has asked her as well. She handles much of the requirements in traffic court, and Chastain says he uses her as Chief Clerk for certain administration needs when he is out of the office. Lyndsay Hightower was hired into the Probate Court on August 30, 2016. She serves in the front window of the Probate Office, she is the main probate clerk of the office according to Chastain. He noted that he has basically asked her to take on the work of two clerks and she continues to work hard under the stress. With previous experience in law enforcement, he says Hightower brings a different view to the office alongside her coworkers. Both Mullins and Chastain made comments about how little the public gets to see just how much work goes on in the office behind the public sight. Accomplishing the vast amount of work necessary for the office to operate efficiently is next to impossible without the proper staff. Chastain went on to say that with two other employees in the office, he hopes to become one of the few Probate Offices in the state of Georgia with every clerk state certified in the coming years. 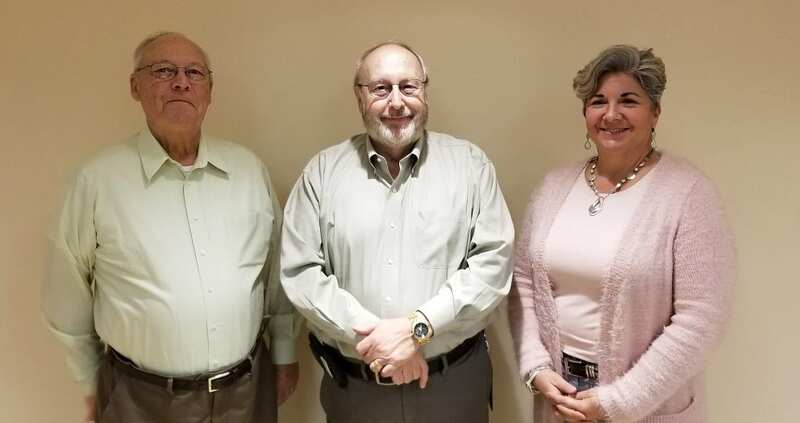 ELLIJAY, Ga. – Six months of discussion and debate come to a close this month as the Gilmer Board of Commissioners came to a 2-1 vote on the raises for Post Commissioners. The raises were approved to move from their past salaries of 10 percent to the new salaries of 18 percent of the Chairman’s salary, having dropped from the original proposal of 20 percent. This approval is the second reading and, therefore, final approval. Discussions have continued since last October, however, the last two months haven’t changed the discussion over the two votes with both Gilmer Commission Chairman Charlie Paris and Post Commissioner Karleen Ferguson in favor, and Post Commissioner Dallas Miller dissenting. Miller noted both times that he only contested as he felt it wasn’t the “right time” for the new resolution. These changes are approved at this time. However, they are not in effect. The official change to each Post Commissioner position salary will take effect at the next election of the position. Current Post Commissioners Karleen Ferguson and Dallas Miller will not receive these raises unless they are re-elected to the position. 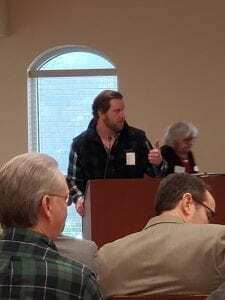 ELLIJAY, Ga. – The Gilmer County Republican Party met on Saturday, March 9, 2019, at the Gilmer County Courthouse to hold their Precinct Mass Meetings and County Convention. County Convention Chairman Stephen Aaron speaks with constituents at the GIlmer County Republican Convention. According to County Convention Chairman Stephen Aaron, who was previously appointed as such by Chairman Richie Stone, the Precinct Mass Meetings and County Convention are held once every two years. This makes the next County Convention take place in the year 2021. According to Carol Bollinger, Precinct Chairman of the Yukon Precinct, the turnout could have been better, but cites that the Conventions have generally been held on a Tuesday, and has just in recent years been changed to take place on Saturday. There are 13 precincts that make up Gilmer County’s political district. At 10 a.m., after the Precinct Mass Meetings and a brief recess, the County Convention began, which is a meeting of all of the delegates from the precincts. During this meeting, the delegates elected officers for the county Republican party for the next two years as well as delegates and alternates for the District and State conventions to come. Sally Forest was nominated Convention Secretary and elected uncontested. Lynch was then nominated by Stephen Aaron, with Sheriff Stacy Nicholson being appointed Sergeant at Arms. 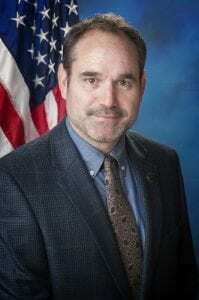 Former Chairman Richie Stone elects Stephen Aaron to replace him in Gilmer’s Republican Party. During the Preliminary Report from the Credentials Committee, the Ellijay South precinct was reported to have 27 delegates, 7 present. Cartecay had 18 delegates, 4 present. Tails Creek had 16 delegates, 1 present. Town Creek had 11 delegates, 0 present. Leeches had 25 delegates, 2 present. Cherry Log had 9 delegates, 0 present. Boardtown had 15 delegates, 1 present. Mountaintown had 13 delegates, 0 present. East Ellijay had 16 delegates, 1 present. Ellijay North had 17 delegates, 2 present. Yukon had 14 delegates, 1 present. 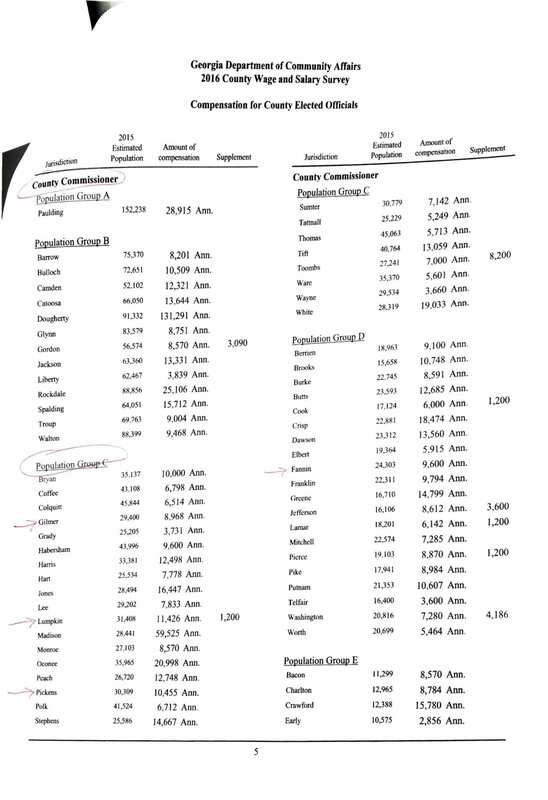 Big Creek had 16 delegates, 0 present. Ellijay North East had 19 delegates, 5 present. According to Lynch, not much was reported to have changed for the Gilmer County Republican Party bylaws. However, the Assistant Secretary position was removed. The Communications Director was given a title and made a more substantial part of the community. 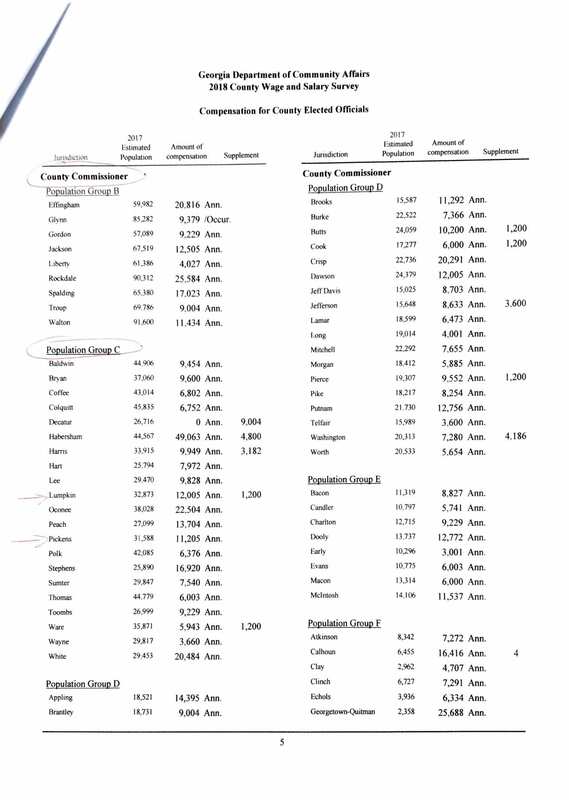 The word “Board” was removed, the term County Executive Committee now being used throughout the bylaws. No further proposed amendments were made and these were adopted by the party uncontested. 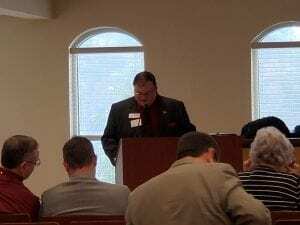 During the report from the Nominating Committee, parliamentarian Lynch nominated Richie Stone as chairman, Rita Odom as 1st Vice-Chairman, Gary Engel as 2nd Vice-chairman, Georgia Cobble as Secretary, and Trent Sanford as Treasurer. No additional nominations were made, and all were elected uncontested. 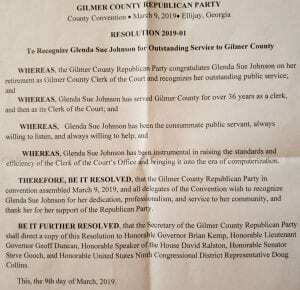 Gilmer Republican Party adopts a new resolution in honor of over 34 years of service by Glenda Sue Johnson, former Clerk of Superior Court. There were 15 slots for Delegates for the District Convention to come, with no alternates. There were no additional nominations, and all were elected uncontested. There were 11 slots for the Delegates for the State Convention to come, with two alternates. Gary Engel was then nominated as an alternate, and all were elected uncontested. 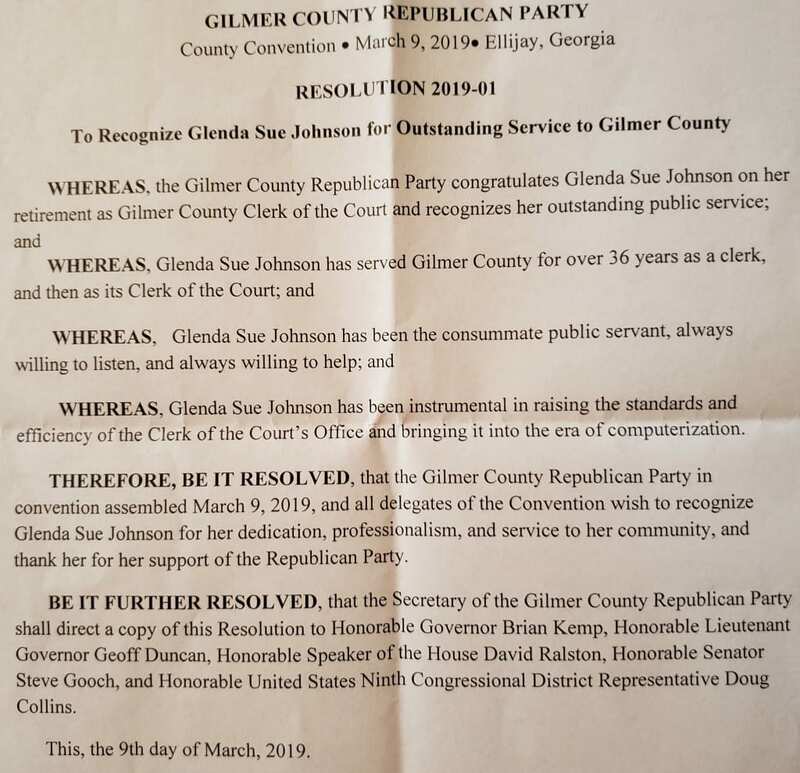 During Resolutions from the Resolutions Committee, Glenda Sue Johnson, Clerk of Superior Court for over 34 and a half years, was recognized during the convention for her outstanding public service to Gilmer County, as well as the Republican Party. No other resolutions were made. Up next is the District Convention on Saturday, April 13, 2019, in Dillard, Georgia, in which 17 people from the 9th District of Georgia will be elected to serve on the Georgia State Republican committee, or the statewide body which acts for the party between conventions. After that will be the State Convention on May 17-18, 2019, in Savannah, Georgia. Membership to the Gilmer County Republican Party is open to all legal voters, though if you’re not a resident of Gilmer County, you won’t be able to be a delegate to the conventions. Less school for more economy? North Georgia – According to a recent article by the Atlanta Journal Constitution (AJC), a senate committee has recommended longer summers for Georgia Students. Instead of quoting test scores, educators, or studies about student learning, the committee suggested a school year starting the first Monday of September, and ending around June 1. The basis for this suggestion? Economic analysis. According to the AJC’s article, the committee was devoid of teachers, school leaders, or PTA representatives. Their suggestion bypassed academics and said that the longer summer, roughly three months, would help tourism grow and increase summer workforce. Taking a local response from Gilmer County Charter Schools System Superintendent Dr. Shanna Downs and Fannin County School System Superintendent Dr. Michael Gwatney, the consensus seems to be that these systems are appalled at the thought of economic interests waylaying the education system in favor on money. Dr. Downs told FYN that shortening the year would not only decrease the breaks that the local school system has in place for students, but would make testing in the first semester almost impossible. She noted an immense testing impact if students were to go through first semester and Christmas, only to then come back in January for end of course testing. A sentiment that was separately echoed by Dr. Gwatney who also noted how much work these school systems put into their calendars, over 6 months of effort and staff input are taken by each of these two school systems before a final handful of calendars are presented for community input in the Board of Education. Finally, the Board approves a final Calendar in the spring for the coming school year. Additionally, Dr. Gwatney pointed out how far the effect of these calendars reach as he also brought in fellow administrators to speak on the issue. Fannin County Schools Deputy Superintendent Betsy Hyde(heading up the District’s Charter), Fannin County Nutrition Director Candace Sisson (also the Calendar Committee Coordinator), and Fannin County Assistant Superintendent Robert Ensley (Administration and Personnel) all agreed that stepping into the local schools in such a way without any representation from schools on the committee was not the way the state should be looking at the issue. From the time spent working on the calendar to allowing each individual county to cater to their student’s and county’s needs, these representatives of Fannin County exerted the necessity of individualized calendars. Downs also noted this importance in Gilmer County as she noted that each school presents its own calendar that is put together by teachers and administrators and then put out for citizen input. Noting the influence of educators of the process, Downs said she was against the thought of a committee placing importance of economy over education. While both these counties gain a lot from the tourism industry, they annually balance their own festivals, events, and economies against the education calendar. Local people provide local input from local expertise as they continually deal with this problem. Though the recommendation is non-binding, it leaves citizens asking the question of how much control the state should have and exert over local governments. Though not directly related, they still recall the Governors “Opportunity School Districts” campaign in recent years. A campaign shot down at the polls. If moved forward and put in place, regulations on the school year may shift discussions from the economic benefit to the state as a whole and focus solely on the overreach of State Government into local communities. According to the AJC, the committee includes chair and state Sen. Steve Gooch, R-Dahlonega, Sen. Mike Dugan, R-Carrollton, Sen. John Wilkinson, R-Toccoa, Sen. Jack Hill, R-Reidsville, Deputy Commissioner of Tourism for the Department of Economic Development Kevin Langston, Georgia Chamber of Commerce designee Michael Owens, Director of the Georgia Travel Association Kelsey Moore, Executive Director of the Georgia Association of Convention and Visitors Bureaus Jay Markwalter, former state Director of Community Affairs Camila Knowles, State Board of Education member Scott Johnson and Grier Todd, chief operating officer at Lake Lanier Islands Resort. ELLIJAY, Ga. – As the Gilmer County Board of Education went through usual approvals for administration in January for the coming school year, an unusual take on the votes came as Superintendent Dr. Shanna Downs said she was requested to go through approvals one at a time instead of all together. Those individual votes came so a no vote could be given to Gilmer High School Principal Carla Foley. She was approved in a 3-2 decision with Tom Ocobock and Ronald Watkins as the dissenting votes. FYN later asked these two why they voted no. However, they simply commented that they had their reasons. Watkins specifically said, “Hopefully, things will straighten up and next year will be a yes vote.” He did note simply that he wasn’t satisfied with the position, declining to explain further. Ocobock did agree that he wanted next year to be a yes vote, but also declined further comment. Ocobock said he has seen trash and alluded to more as he repeated that he wanted a marked improvement. With these approvals of administration, the Board will move forward next month with recommendations for staff and contracts for the coming school year. ELLIJAY, Ga. – After last month’s arguments of legislative versus home rule as the way to go forward with Post Commissioner salaries, this month saw the continuation of that debate. The next step, a question brought forward from the budget sessions into last months meeting and now into the new year, is the percentage of the raise. Gilmer County Commission Chairman Charlie Paris originally had offered a number of 20%. Though not arbitrarily thrown out, Paris has since said he was offering the number as a consideration. Since that time, articles and discussion have focused on 20% as the proposed amount for the Post Commissioner salary increase. Even FYN offered analysis based upon that 20% suggestion. This percentage is a percentage of the Commission Chairman’s salary. 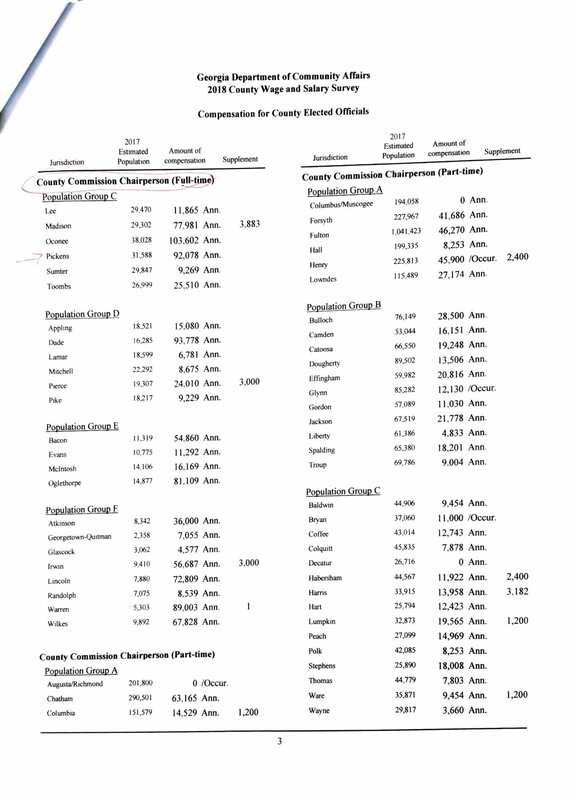 Post Commissioners are currently paid 10% of the chairman’s salary. This month saw the discussion shift after some pushback from the community over “doubling” the salary. 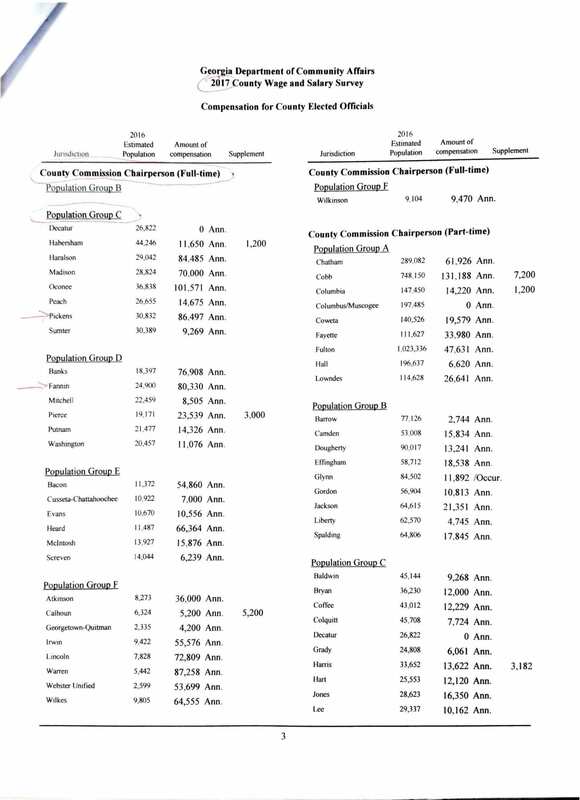 Post 2 Commissioner Karleen Ferguson wasted no time in researching the issue and offering the board her own analysis, one of surrounding counties and their boards’ salaries. 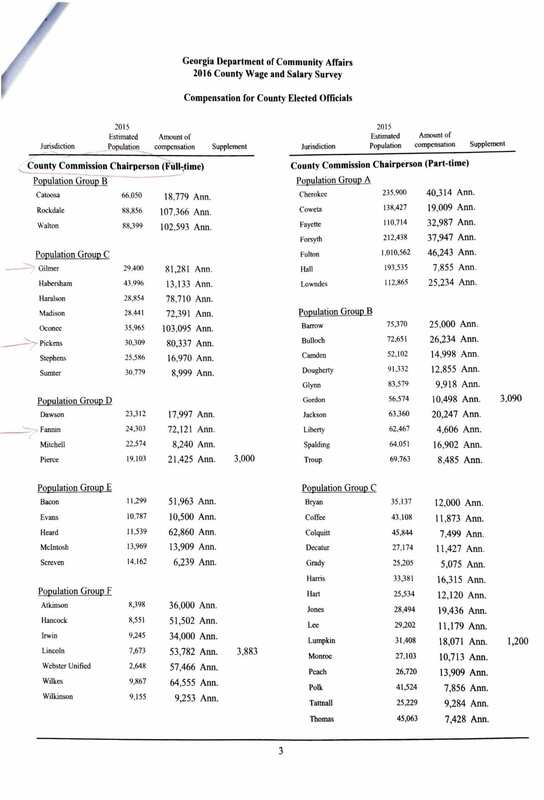 Reaching through 2016, 2017, and 2018, these documents from the Georgia Department of Community Affairs showcased salaries of both the Chairperson and the Post Commissioners, organized into population size groups. Ferguson highlighted the Gilmer and its immediate neighbors like Lumpkin, Fannin, and Pickens. Post 1 Commissioner Dallas Miller stated in the meeting that though he thought the raise was deserved, he would be satisfied with not changing the salary at this time saying, “I, personally, think it’s not a good time to be doing this.” Miller did ultimately vote against the motion to advertise the salary increase in a 2-1 vote. 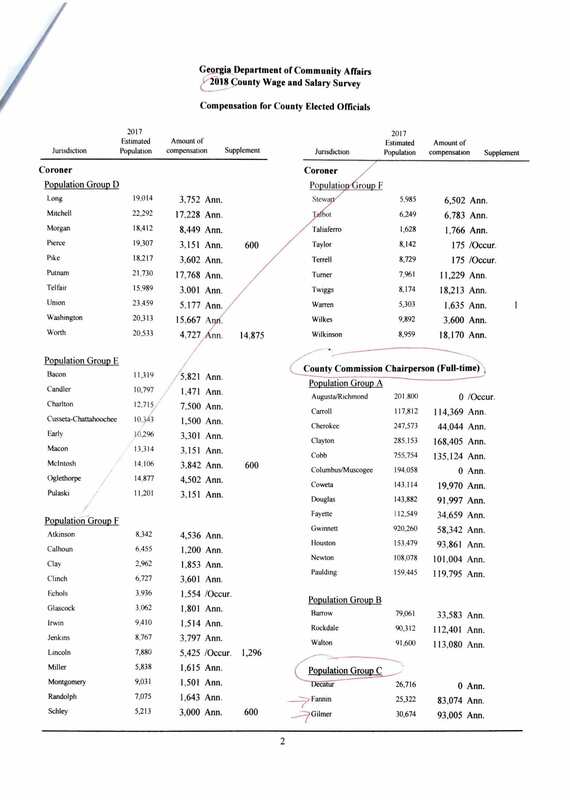 In 2018, Lumpkin County was at $12,005 annually according to this report. Pickens was at $11,205. 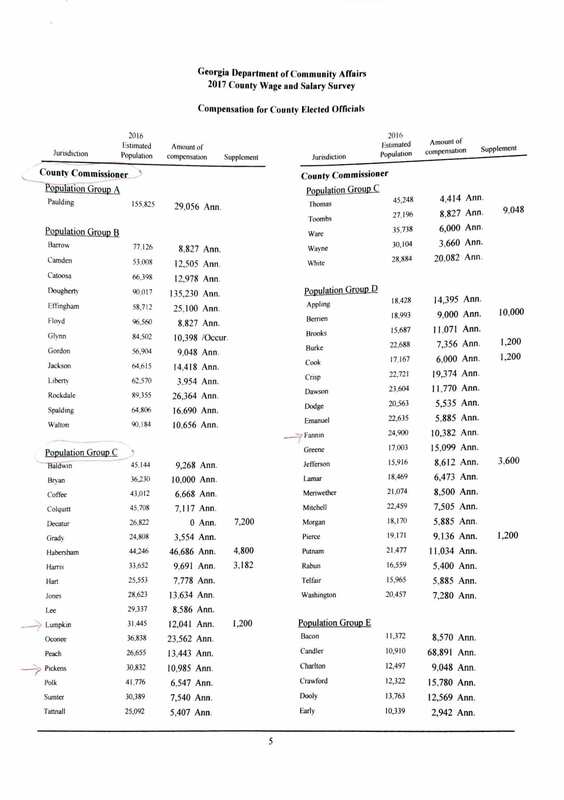 Currently, Gilmer County Post Commissioners are paid $7,125.38 as reported in “Commissioners pushing for ‘Fast Answer’ in pay raises.” With an 18% instead of a 20% increase, effectively not quite doubling the salary, the new base pay of a Post Commissioner would become $12,825.68. Ferguson also noted in the board’s work session that this change would not take effect for two years, when the next elected Post Commissioner will take office. Approved, 2-1, for advertising, it is now up to the citizens to speak with the Board of Commissioners and attend February’s meetings to voice the county’s opinion on the matter whether in support or opposition of the change. ELLIJAY, Ga. – A not-unexpected turn of events saw the Board of Commissioners (BOC) strike the two items from their agenda on Thursday that involved an Audit and a Contract Termination for the Gilmer Chamber. Despite this, it doesn’t mean the end of this issue between the two entities. With both sides having agreed that the Hotel/Motel Tax usage by the Chamber is required to have an audit, and moving forward imposing that requirement, a major issue is being resolved. However, it doesn’t mean that citizens won’t be hearing about the issue again in coming sessions. As Post 2 Commissioner Karleen Ferguson stated in their work session, she is wanting to look deeper at the Chamber, the date of the automatic contract renewal, and the Hotel/Motel Tax split. Though most of the discussion at the work session centered on clarifying “if” and “why” a termination would be required to renegotiate the contract and look at some of the expectations from both parties, the lasting issue is still persisting. The commissioners did not vote down the termination, however. 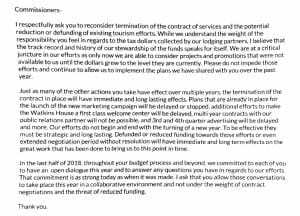 As previously reported in “Chamber Contract in question at BOC,” Ferguson stated several times during the work session that she thought termination was the only way to renegotiate the contract with its pending automatic renewal. Instead of voting down the termination, all three commissioners unanimously approved an agenda change to remove the items from the agenda with the clarification that it was agreed that the audit was required and would start being provided. This leaves the state of the Gilmer Chamber in a flux of moving forward with an automatic renewal schedule to take effect next week, but knowing that 2019 will be a year in review as the Commissioners look closer at the Hotel/Motel Tax and the Chamber in general. Ferguson noted during the work session that the Gilmer Chamber holds one of the highest Hotel/Motel tax split-percentages in the state. 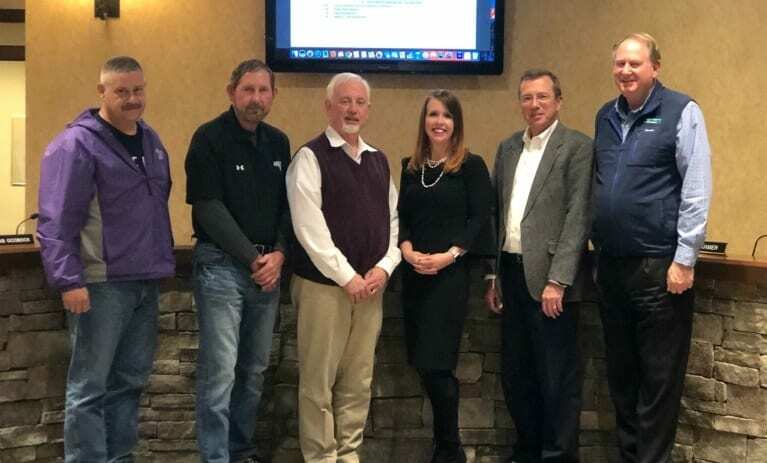 It was also noted by several chamber members and chamber board members that the Gilmer Chamber was also noted by people across the state as one of the best and most effective chambers. « Previous Article Gilmer Chamber: Welcome to 2019! 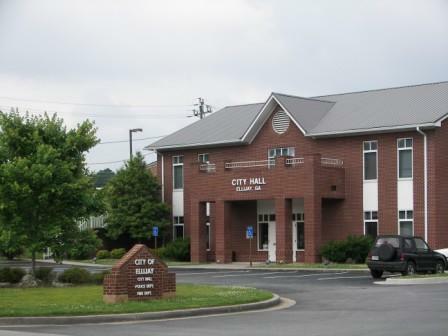 ELLIJAY, Ga. – The Ellijay City Council has released the dates for their 2019 meetings.